“What we’ve learned is that the physical and cultural distance between the software developers and the clients is best kept at minimum.” states Jukka Katajaharju, the Co-Founder and CTO of Codemate, who has been running the Asian operations of this software service house for almost ten years now. The company has started an active campaign to give Finnish companies operating in Southeast Asia a capability to develop software solutions in Southeast Asia with Finnish and local experts. “Codemate’s Bangkok office has been built to satisfy this exact demand.” says Katajaharju. “We have been mainly serving customer companies in Finland from our sites in Oulu, Helsinki, Bangkok and Dhaka, but many of the best Finnish firms operate here close to our Asian offices. We started asking ourselves, why not cooperate with these brave firms, also in serving their Asian customers or in increasing their process efficiency.” Katajaharju explains. Codemate’s story began in 2007 in Oulu, after a couple of years of operating together with a local partner in Dhaka. “It became clear that we need to have full control over our developers in Asia to reach extremely high quality and opened our own office there, which was quite pioneering at the time.” Katajaharju looks back. 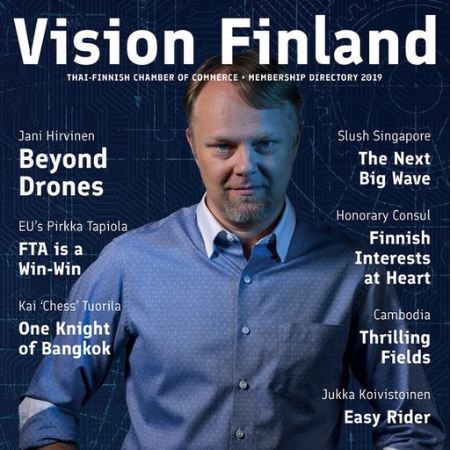 “It’s quite paradoxical that we originally opened our Asian offices to serve Finnish clients with cost efficient software development and now we are also bringing Finnish developers to work in Asia!” Katajaharju exclaims. Web systems, mobile applications and IoT solutions are the key domains where Codemate operates. “We can help in basically anything related to digitals services’ development, testing, localisation and maintenance.” Says Katajaharju.